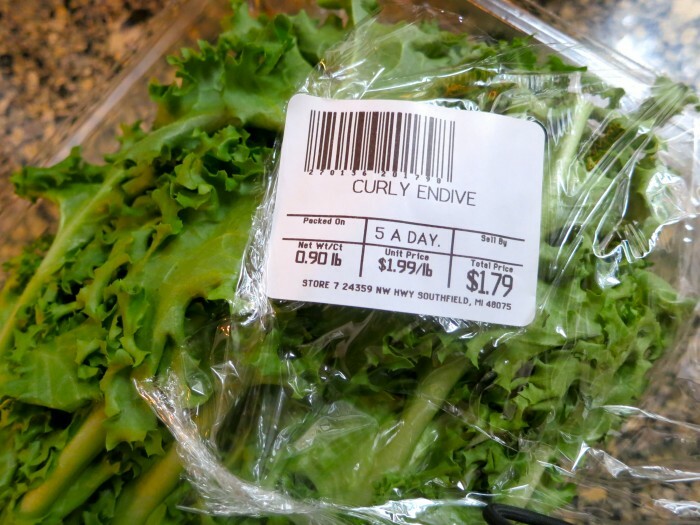 I forget about cooking with curly endive, but I shouldn’t. The bitter flavor is marvelous served raw paired with other greens in a salad; it’s a wonderful green to cook with, as well. If you find it too bitter raw, you won’t have that issue when it’s sauteed. 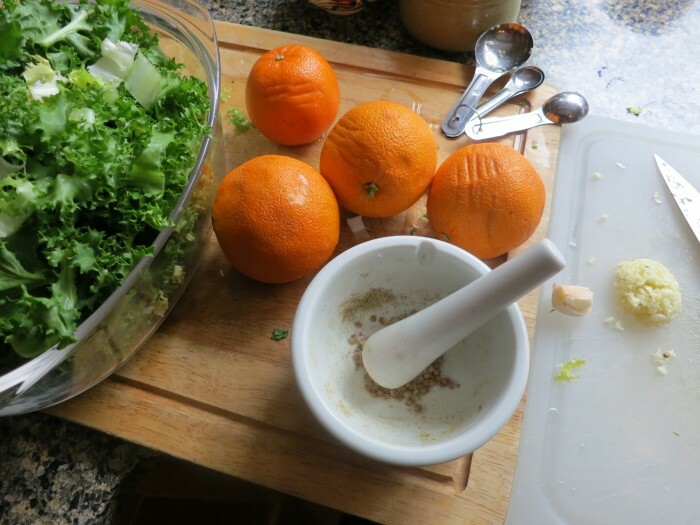 Coriander has a scent similar to fresh orange. The following recipe was modified from a recipe found on the Fine Cooking web site. The original recipe served two, so I doubled it; if I’m going to the trouble of assembling a variety of ingredients, I may as well make extra for leftovers. I tripled the amount of endive for the simple reason that I love greens. Also, I added a bit of cornstarch to thicken up the sauce a tad, and decreased the amount of butter by half. If you’re not familiar with coriander, give it a whirl. It is often used in Indian and Latin American cuisine, and has a lovely orange aroma particularly fine in this preparation. They’re actually the seeds from cilantro, but they have an entirely different flavor profile, so don’t substitute fresh cilantro for coriander seeds or powder. I mention this because I often see fresh cilantro miss-marked as coriander. Pasta or rice is the perfect foil to enjoy the lovely sauce. Whisk together chicken stock and corn starch; reserve. Season chicken with kosher salt and freshly ground pepper. Heat 2 tablespoons oil in your largest sauté pan over medium-high heat. Add the endive and cook, in batches if necessary, stirring frequently, until deep green but still crisp-tender, about 90 seconds. Transfer to a large bowl. Heat an additional 2 tablespoons oil in the same pan and add the chicken. Cook, in batches if necessary, until both sides are golden brown and just cooked through, 3 to 5 minutes; transfer to the bowl of endive. Reduce heat to medium, heat another tablespoon oil in pan; add garlic and crushed coriander. Cook until fragrant, about 30 seconds. Add stock mixture, orange juice, and vinegar, stirring. Simmer vigorously until the sauce has reduced and thickened, about 4 minutes. Add butter, stirring until blended. 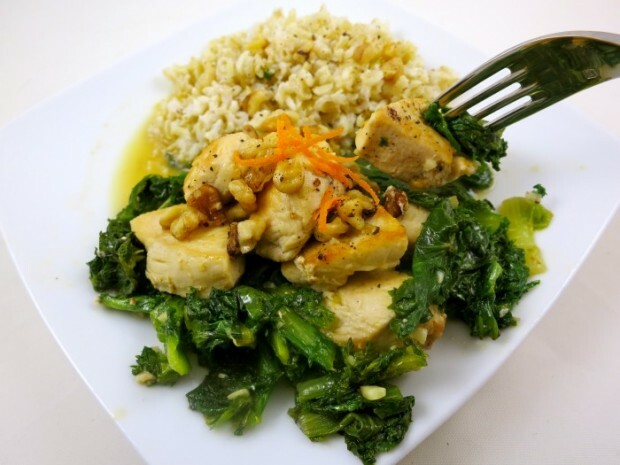 Stir in the chicken and endive along with any juices, and serve sprinkled with walnuts.